Transporte Occidental buses leave from Ricardo Darque street off Avenida de las Américas in the western outskirts of Cuenca. The first bus leaves at 6:15 a.m. and the next at 7 a.m. The earlier you go the better chance you have of avoiding the impenetrably thick mist that blankets the park in the afternoon. You can take a local bus number 11 or a taxi to get to the bus departure point. I suggest leaving your city accommodation before 5:30 a.m. 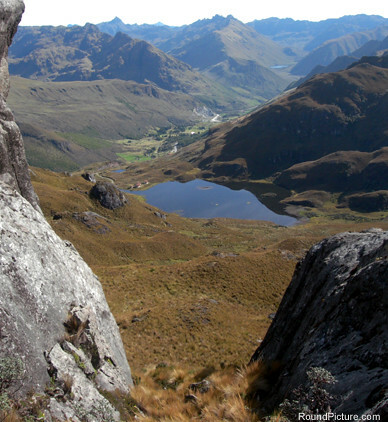 This is the most popular day trip to Parque Nacional Cajas (elevation: 9000-13000 ft / 2743-3962 m) and it can be done without a map unless you’re hopeless with bearings. Get off the bus at Tres Cruces (elevation: 4200 m). Say a quick prayer for the souls who died of cold while crossing the mountains and put a stone on each of the tree crosses as suggested by the sign. Pay for your Tarjeta de Ingreso de Turistas (Tourist Entry Ticket, USD 10) at the park entry booth and they will give you a map. The booth is not always manned. Walk up to the transmission mast at the top of the hill. You should have found a trail as you get nearer the mast. From the mast, you have a nice view of the park on the other side. Follow the trail down towards the lagoon below. If you haven’t spotted the trail yet, you can continue towards the right side edge of the lagoon which is where it leads to, but it’ll be much quicker and easier to walk along the trail from the very start. Keep track of your time so you know when to turn back. 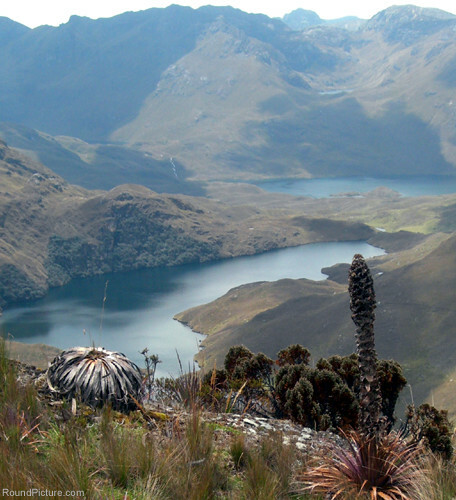 Continue on past Laguna Larga (Lagoon Larga) and Laguna Togilacocha (Lagoon Togilacocha) and you’ll arrive at the northern tip of big Laguna Luspa (Lagoon Luspa). This is the destination of your ‘nice & easy’ day trip and you can now turn around and come back the same way you came. There is another way out of the park going up the small hill to your right and taking 1 hour to get to Miguir where you can get a bus on the main road back to Cuenca, but take this option only if you have a map or know how to find the trail. The bus from Miguir to Cuenca costs USD 1.50. Wave down a bus coming up the hill from your left hand side. Depending on what time it is when you arrive at Laguna Luspa, you can turn right at the lagoon and follow the trail around it to get to the ‘waterfall’ at the other (southern) end. You can get to the same spot by turning left and walking on the eastern side of the lagoon but there is no trail and it can be swampy and much more difficult. You can carry on even further up past the waterfall, past Laguna Canutillos (Lagoon Canutillos), and all the way up to the pass, but do watch your time. I will describe this (much more interesting) route in the Day Trip Option 2 section below. Everyone who enters the park must be warned about the park’s infamous 4 p.m. mist, and how quickly the day can turn for unsuspecting visitors. It was still early afternoon and the sky was blue when I witnessed an interesting atmospheric phenomenon in the shape of a distinct fast moving trail of mist crawling up the valleys. It was as if some mystical force was silently invading to take over the park which in fact it did later. 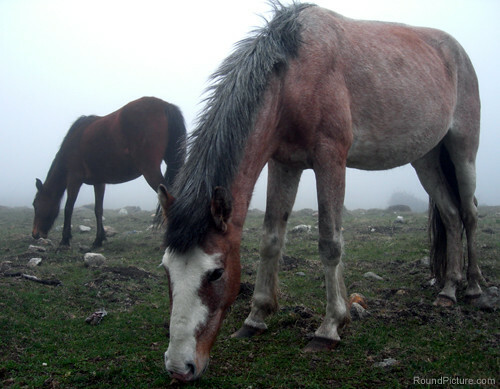 By 4 p.m., the mist was thick down the valley with about a 100 m visibility and 100% humidity. Unless you’re very familiar with the park, there is no way you can orientate yourself once the mist strikes, so make sure you don’t get trapped in there. This route is rarely used, more difficult, but much better than the more popular shorter route described in Day Trip Option 1 above. It is difficult to describe the route in detail without a map but here is my account anyway. I took the first 6:15 a.m. bus from Cuenca and got off at Piedra Puntona / Laguna Cucheros. Some bus drivers do not know where this is but it’s about 55 minutes from Cuenca and before Tres Cruces. While walking up to the top of the hill, I saw rabbits, a hummingbird and many different types of tiny but pretty wildflowers. I didn’t see any trail and it was more physically demanding than the small climb at the beginning of Day Trip Option 1. At the top of the hill, a panoramic view of the barren, brown grass landscape opened up and it was full of undulating mounds, rocky outcrops and pools of water that looked fun to explore. I could not locate the ‘Trail 10’ indicated on the map but I figured I was between two trails leading down to the plain below so I scrambled down some steep hillsides and a meadow. I reached Laguna Burin (Lagoon Burin). It was difficult to find trails or locate myself on the map. There were lots of small lagoons scattered around – apparently there exist more than 230 lagoons of glacial origin in the park. Some of those marked on the map had dried out, some new ones had appeared, and some of those on the map now had different shapes. On the ground level, all the mounds looked pretty similar and as soon as you sank behind one, you couldn’t see any landmarks on the horizon to get your bearings. At 11 a.m., I reached a rocky hilltop southeast of Cerro Bola Loma (Bola Loma Hill) – the southernmost end of ‘Trail 10’. 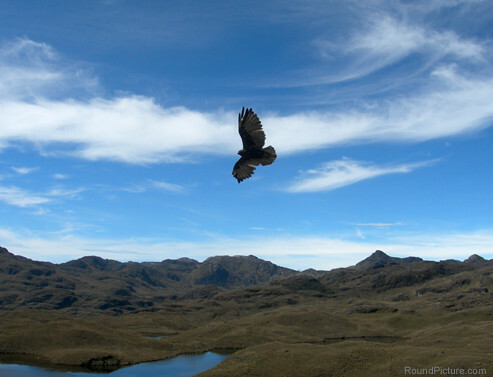 My close encounters with the park’s fauna include a raptor/eagle that lingered low over my head for a while, some llamas and trout, and one well-camouflaged plump brown bird I nearly stepped on – some kind of partridge with a long thin beak, called ‘perdis’. It flew away just in time and sat back down about 25 m in front of me, melting back into the grassy field. At 12 p.m., I arrived at the pass for the 2nd half of the route. It was all downhill from there following the valley floor. I often intentionally deviated from the trail, taking longer to get down but creating much more interesting trail of my own past numerous lagoons. I knew I was home free when I recognised Laguna Luspa in the distance later on. I was home after 7 p.m., tired and hungry but very satisfied. 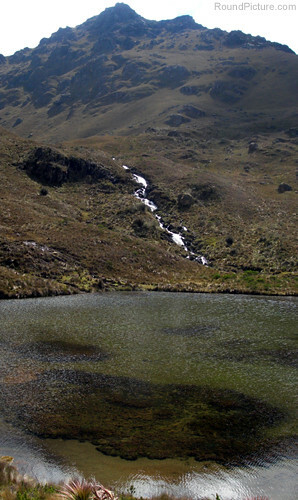 I think Parque Nacional Cajas is a great setting for an overnight camping trip which will give you time to enjoy the wildflowers, animal spotting and trout fishing (Some locals were fishing at Laguna Luspa). Camp overnight near the eastern end of the plains I described in Day Trip Option 2 above. The eastern end drops down to a big deep valley. 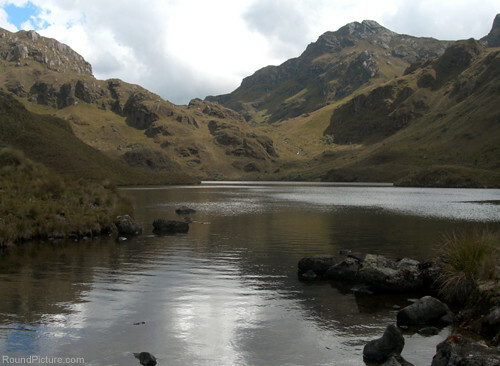 The next day, follow the big deep valley down and you’ll end up at Laguna Llaviucu (Lagoon Llaviucu). You can walk around the lagoon following the trail in 45 minutes but it won’t be too interesting after what you’ve seen in the park already. You’ll find a park entry booth (someone should be there most days) on the other side of the lagoon. 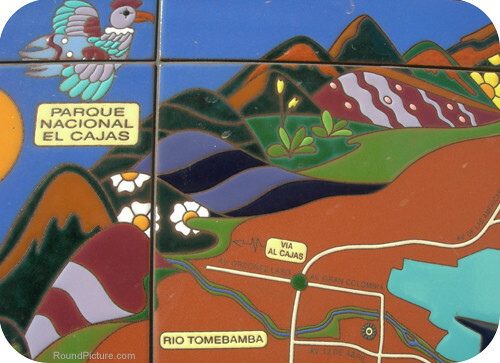 From there, it takes a 1 hour walk to the main road to catch your bus back to Cuenca. 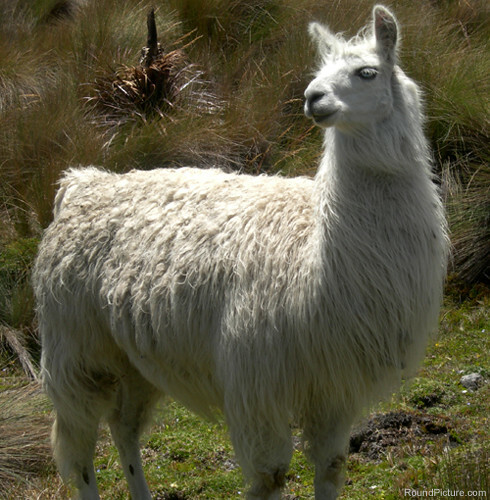 The bus trip to Cuenca takes 30 minutes, USD 1. Protect yourself well from the elements you’ll be exposed to, especially the mist. There are wild animals in the park, so put away your food, rubbish and belongings. That was one of the nicest feedbacks I’ve received. Thank you so much! And thanks for the heads up on cuencahighlife.com. I hope you can use the maps published there (best with Firefox or Chrome). If not let me know. great writing, thankyou for the helpful details. Thanks for your comment. I hope you enjoy the park. It really is a great day out!